This presentation gives an introduction to Apache Mahout and Machine Learning. It presents some of the important Machine Learning algorithms implemented in Mahout. Machine Learning is a vast subject; this presentation is only a introductory guide to Mahout and does not go into lower-level implementation details. HBase provides random, read-write access to Big Data stored in very large tables as a distributed columnar store. HBase thus gained immediately popularity as a Big Data technology that unlike Hadoop which was primarily used in the backend data warehousing infrastructure could be deployed to service online transactions as well. Just as Hive brought SQL to Hadoop (and now to HBase as described in my earlier blog post), there are many alternate projects providing SQL for HBase which is the subject of this blog article. Phoenix is a technology developed by Salesforce.com to put a SQL skin over HBase. This is not adding a new layer, rather it exposes HBase functionality through SQL using an embedded JDBC Driver that allows clients to run at native HBase speed. The JDBC driver compiles SQL into native HBase calls. The claim is that performance of Phoenix is much better than that of Hive over HBase – upto 10x at 100 million rows. Performance is also more constant as the number of rows increases. Optimizations are transparent to the user. Cloudera has been promoting Impala heavily since its announcement in Strata last year. Impala is a SQL engine that can run on HDFS or HBase or both. They too claim that Impala performance is much better than that of Hive – over 45 times! However this comparison seems to be based on native Hive, not Hive over HBase. The performance gains are achieved by not writing intermediate results to disk (like MapReduce), no spin up/down times, optimized code as Impala is written in C++ rather than Java. This means that it needs to use JNI to make calls into Java for HBase integrations. Impala also includes authentication via Kerberos support, JDBC/ODBC drivers (similar to Phoenix), an interactive shell and support for popular hadoop file formats such as parquet, avro, thrift and sequence files. Parquet was specifically engineered for Impala to get the best performance. Apache Drill (the only in this series which is an Apache project) was inspired by Google Dremel. It is the most interesting in terms of its emphasis on interactive analysis of large scale datasets. It is similar to Impala in many ways but is community driven. Although Hive is also a community project, the need for Drill rose because of the tight coupling of Hive to MapReduce which is based on a pessimistic execution principle i.e. all jobs will be long running and process lots of data. This causes a lot of overhead for short-running jobs which Drill addresses. Drill does great when execution times of 100ms to 10 seconds are required. Phoenix provides even better response times – below 10ms. Drill is unique in its focus on analytical queries, so a lot of emphasis is placed on bulk reads and aggregations. Phoenix is more focused on write optimizations as in the RDBMS world. Drill also provides extensions to SQL for nested data types similar to Big Query. Many systems nest data structures inside of HBase cells (for example a cell can be a whole log record which in turn has many nested fields). It is much better to treat these nested cells and process them in the query language for optimal performance. Drill leverages recent research approaches (late record materialization, vectorized operators, etc.) As such it definitely seems the most promising for analytical work. With all of these different options and rich technologies that provide SQL for HBase, HBase’s popularity is bound to grow. Of course with choice comes decisions. Which technology is right for you? Orzota can help analyze your use case and recommend the right set of technologies based not just on technical merits alone, but also taking into consideration its maturity, cost and vendor support. Please contact us for more information. HBase is a NoSQL data store that traditionally required a developer to write MapReduce programs to access and analyze the data. On the other hand, Hive has been gaining in popularity with it’s SQL-like interface. However, using Hive over HDFS leads to long ETL times and no access to real time data. Solution? Hive over HBase. This benefits HBase users as it does not require programming while benefiting traditional Hive use cases by making them much faster and providing access to real-time data. The notes in this article are from the Hive session at HBaseCon. Here are some example use cases for when one would want to use Hive over HBase. If you want to analyze data in HDFS and want to serve it via online queries to say a recommender system, use Hive to perform the queries and then populate HBase which serves as the data store for online access. Some data in HDFS and some in HBase. Combine (Join) them using Hive. Dimension data that changes frequently can be in HBase, while static tables can reside in HDFS. HDFS and HBase have the same table definitions. HBase gets the continuous updates, while daily periodic dumps go into HDFS. Hive queries can join the two sources of data together for real time query. Fair warning. The rest of this article gets pretty technical, delving into the implementation details of Hive for HBase. If you don’t care, then just realize that this technology is a fantastic bridge between the speed and online capability of HBase and the ease of use and SQL-like qualities of Hive. The StorageHandler layer talks to HBase over HDFS. This sits in parallel with the MR framework. Hive DDL operations are converted to HBase DDL operations via a client hook. All operations are performed by the client. No two phase commit is used. The Hive HBase Integration wiki has more details. This was added in Hive 0.9. Previously all types were being converted to strings in HBase. The table level property hbase.table.default.storage.type can be used to specify the type mapping. If binary, Hive types will be mapped to bytes, otherwise String. If type is not primitive or Map, it is converted to JSON string and serialized. There are still a few rough edges for schema and type mapping which should improve in subsequent versions. Instead of writing an MR job to bulk load data into HBase, we can use Hive. Sample the source data and save to a file. Run CLUSTER BY query using HiveHFileOutputFormat and import into HBase. The HBase Bulk Load page has details. The idea is to pass down filter expressions to the storage layer from the Hive optimizer to minimize scanned data. The optimizer pushes down the predicates to the query plan. To do this, the storage handler negotiates with the Hive optimizer to decompose the filter. This support is being added to Hive. There are many use cases for Hive on HBase. But if what you really want is a SQL interface to HBase, there are other options as well. I will cover these in a subsequent blog post. I attended HBaseCon yesterday. It was a fantastic event with very meaty tracks and sessions. HBase is a NoSQL database meant for use in online big data workloads, where response time matters. It was originally developed by Powerset based on Google’s BigTable paper in 2008 and very soon became an Apache project. The first Apache release was in 2010 and since then it has been gathering velocity. There are lots of production deployments of HBase today with a wide variety of use cases. I will share some of the use cases presented at HBaseCon in this article. Pinterest is completely deployed on Amazon EC2. Pinterest uses a follow model where users follow other users. This requires a following feed for every user that gets updated everytime a followee creates or updates a pin. This is a classic social media application problem. For Pinterest, this amounts to 100s of millions of pins per month that gets fanned out as billions of writes per day. They chose a wide schema where each user’s following feed is a single row in HBase. This exploits the sorting order within columns for ordering (each user wants to see the latest in his feed) and results in atomic transactions per user. To optimize writes, they increased per region memstore size. 512M memstore leads to 40M HFile instead of the small 8M file created by default memstore This leads to less frequent compactions. They take care of the potential for infinite columns by trimming the feed during compactions: there really is not much point having an infinite feed anyway. They also had to do GC tuning (who doesn’t) opting for more frequent but smaller pauses. Another very interesting fact. They maintain a mean time to recovery (MTTR) of less than 2 minutes. This is a great accomplishment since HBase favors consistency over availability. They achieve this via reducing various timeout settings (socket, connect, stale node, etc.) and the number of retries. They also avoid the single point of failure by using 2 clusters. To avoid NameNode failure, they keep a copy on EBS. Groupon has two distinct use caes. Deliver deals to users via email (a batch process) and provide a relevant user experience on the website. They have increasingly tuned their deals to be more accurate and relevant to individual users (personalization). They started out with running Hadoop MapReduce (MR) jobs for email deal delivery and used MySQL for their online application – but ideally wanted the same system for both. They now run their Relevance and Personalization system on HBase. In order to cater to the very different workload characteristics of the two systems(email, online), they run 2 HBase clusters that are replicated so they have the same content but are tuned and accessed differently. Groupon also uses a very wide schema – One colmn-family for ‘user history and profile’ and the other for email history. A 10 node cluster runs HBase (apart from the 100 node Hadoop cluster). Each node has 96GB RAM, 24 virtual cores, 8x2TB disks. Data in the cluster: 100m+ rows, 2TB+ data, 4.2B data points. This company provides JW Player, an online video player used by over 2 million websites. They have lots of data which is processed by their online analytics tool. They too are completely deployed on AWS and as such use HBase and EMR from Amazon. They read data from and write data to S3. HBase fit the bill. They use multiple clusters to partition their read and write intensive workloads similar to Groupon. They are a full-fledged python shop so use Happybase and have Thrift running on all the nodes of the HBase cluster. It is clear that HBase adoption has grown and there are many, small and large production deployments with varying use cases. In addition to the cases above, there is of course Facebook’s messaging system, OPower, Flurry, Lily, Meetup and many other. It is also clear that there is still a lot of work to be done to make it easier to use, configure and tune. After all, we are not even at 1.0! I attended Cassandra Summit 2013 . This is the first year I’m attending this conference and was impressed with the turnout as well as the number and quality of the sessions. I summarize some of the content from the first day’s sessions below. The star of the morning keynote was Jonathan Ellis, co-founder of DataStax. He started his presentation with a graph showing benchmark data comparing Cassandra with other NoSQL databases(HBase, Voldemort, VoltDB, Redis) and even MySQL I looked up the original VLDB paper that published this benchmark to understand the workload and testing methodology. The authors were trying to mimic an APM (Application Performance Management) agent’s actions as it collects and records data. Yet, the authors split things up to have read and write type workloads similar to other benchmarks and that really have nothing to do with their original intent of an APM workload! Personally, I find such simplistic workloads problematic. The servers are unlikely to experience a realistic workload that a real application will place on them. But this is a topic for another blog post. Anyway, as you can guess, Cassandra came out on top with many times the performance of HBase when scaled to 32 nodes. Although MongoDB was not part of this comparison, Jonathan said that other benchmarks showed MongoDB performance to be even worse than HBase. CQL adds Collections to SQL (e.g. multiple email addresses for a user). This is important since Cassandra can’t do joins with say an address table. This release is targeted at end of July. Lots of house cleaning is the focus of this release, and hence the major version number. A notable new feature will the the addition of CAS (Compare and Swap) for use when eventual consistency is just not enough. Another RDBMS like feature – triggers using Java classes! From the looks of it, Cassandra will soon resemble an enterprise RDBMS in terms of functionality. Hopefully all these additional features will not come at the price of performance. Several companies presented their use cases. This is a very useful track to help others new to the technology to understand what kinds of applications in their own companies can benefit. This was presented by Jesse Young of Zonar Systems. They collect lots of data from heavy fleet using a GPS based hardware device which sends the data to their SaaS portal. Their existing data is on 100+ database servers using 3000+ databases spanning 100 TBs. Cassandra was chosen due to built-in replication, speed and easy administration. ZPass+: This app tracks ridership. Millions of users doing 20m writes/day. But traffic is bursty only when users get on a buss. The interesting thing is that they have not yet moved their core app – GPS data into Cassandra. That will be the true test. Intuit is creating a common data layer across many of their apps. They chose Cassandra as it can scale and is highly available (one of their main requirements which HBase fails). It is easy to replicate across data centers, enables fast snapshots and rolling upgrades. Operations need to make schema changes easily and this was an important requirement. Some interesting notes from this presentation included some of the performance problems they ran into. Cassandra does compaction in the background causing huge i/o spikes making blob storage (RedHat DFS) unsuitable. So documents go into DFS but the metadata lives in Cassandra. They also see huge unaccounted for CPU spikes caused by GC activity. It is important to tune the heap size to get more predictable performance. Clearly there are production deployments of Cassandra, and many of them. However, it takes 1-3 years to get an enterprise application onto a new data platform like Cassandra. Many customers are still testing the waters with proof-of-concepts. It’s also much easier to start a new app development using a new platform than port an existing one. Cassandra requires a complete re-thinking of the data model which many find challenging. As the old adage goes, no pain, no gain. In case you missed it, one of the hottest new job titles in tech is that of the Data Scientist.In traditional IT, the data was managed by engineers ensuring that the data warehouse had relevant data which was then used by business analysts to answer business questions.With the rise of big data as a result of the ability to process large amounts of unstructured (e.g. data from devices), semi-structured (e.g. all sorts of machine logs) and traditional structured data, the notion of the data warehouse as a central RDBMS for analytics is being disrupted.Why not do analysis on all this raw data in the big data platform instead? But analysts who use BI tools do not typically have the ability to deal with raw data, let alone “big data”. Companies like Facebook, LinkedIn and Google have derived great benefits by using a team of data scientists. Many non-technology businesses have also started hiring them. Macys has boosted store sales by 10% using big data analytics done by their data scientists. (https://www.cnbc.com/id/100638141). Organizations of all sizes can gain superior insights using data analytics leading to improved decision making. Before you decide that your company needs a data scientist, it is important to take a step back and have a clear understanding of what problems need to be solved. It is best to start small in the data science space by picking a particular problem and trying to solve this. Note that this is counter to the general view that data scientists explore data and find interesting patterns. For smaller companies and/or those new to big data, the better option is to stay focused on getting results for one initial question. For example, a fairly universal problem for many businesses is to understand the reasons why customers are lost (known as customer churn). This can be a very complex analysis involving many different dimensions from pricing, support, product quality, feedback, social media, etc. and can be a daunting task to undertake. It is possible to break this down, solve a subset of the problem and continue to build on it. All of this sounds great. Find a data scientist and you can now have great new insights into your data and the ability to solve business problems. Except for a small problem – they are hard to find. McKinsey Global Institiute estimates that there will be a shortage of 190,000 data scientist jobs by 2018. If you can’t find a data scientist, it is possible to build this skill set using a team consisting of a data architect, data engineer, data analytics engineer and business analyst working co-operatively together. This may even be advantageous as a larger team can handle multiple projects in the long term. Finding people with a more narrow skill set may also be easier. If your organization does not have the expertise to start a data science project, consider partnering with a consulting firm that can help you get started. Bootstrapping from this project may be quicker than trying to start from scratch and learn as you go. Enterprise IT is littered with tales of failed ambitious projects. Don’t be part of that statistic! Does your Data Warehouse use Teradata? Are you concerned about the growing size of the data? The objective of this Pig tutorial is to get you up and running Pig scripts on a real-world dataset stored in Hadoop. It is assumed you have basic knowledge of Java programming and SQL. Basic knowledge of Linux will help you understand many of the linux commands used in the tutorial. This Pig tutorial assumes Linux/Mac OS X. If using Windows, please install Cygwin. It is required for shell support in addition to the required software above. Download a stable tarbal (for our tutorial we used pig-0.10.0.tar.gz (~50 MB), which works with Hadoop 0.20.X, 1.0.X and 0.23.X) from one of the apache download mirrors. or set PIG_HOME in $HOME/.profile so it will be set every time you login. Add the following line to it. Set the environment variable JAVA_HOME to point to the Java installation directory, which Pig uses internally. Pig has two modes of execution – local mode and MapReduce mode. In this mode, Pig translates the queries into MapReduce jobs and runs the job on the hadoop cluster. This cluster can be pseudo- or fully distributed cluster. First check the compatibility of the Pig and Hadoop versions being used. The compatibility details are given in the Pig release page (for our tutorial, the Hadoop version is 1.0.3, and Pig version is 0.10.0, which is compatible to the Hadoop version we are using). First, export the variable PIG_CLASSPATH to add Hadoop conf directory. You can see the log reports from Pig stating the filesystem and jobtracker it connected to. Grunt is an interactive shell for your Pig queries. You can run Pig programs in three ways via Script, Grunt, or embedding the script into Java code. Running on Interactive shell is shown in the Problem section. To run a batch of pig scripts, it is recommended to place them in a single file and execute them in batch mode. Note that Pig, in MapReduce mode, takes file from HDFS only, and stores the results back to HDFS. Its a good practice to have “*.pig” extension to the file for clarity and maintainabilty. The BookXGroupByYear.pig file is available on our github page of the Tutorials for your reference. Now we focus on solving a simple but real-world use case with Pig. This is the same problem that was solved in the previous blog articles (Step-by-step MapReduce Programming using Java and Hive for Beginners using SQL-like query for Hive). The sed commands help us to remove the delimiters “;” (semicolon) from the content and replace them with $$$. Also, the pattern “&amp;” is replaced with ‘&’ only. It also removes the first line (header line). If we don’t remove the header line, it will be processed as part of the data, which it isn’t. All the above steps are required to cleanse the data and give accurate results. 2012-11-05 01:09:11,554 [main] WARN org.apache.pig.PigServer – Encountered Warning IMPLICIT_CAST_TO_DOUBLE 1 time(s). 2012-11-05 01:09:11,810 [main] WARN org.apache.pig.PigServer – Encountered Warning IMPLICIT_CAST_TO_DOUBLE 1 time(s). 2012-11-05 01:09:11,996 [main] WARN org.apache.pig.PigServer – Encountered Warning IMPLICIT_CAST_TO_DOUBLE 1 time(s). It is clear from the above that the high level abstractions such as Hive and Pig reduce the programming effort required as well as the complexity of learning and writing MapReduce code. In the small Pig example above, we reduced the lines of code from roughly 25 (for Java) to 3 (for Hive) and 4 (for Pig). 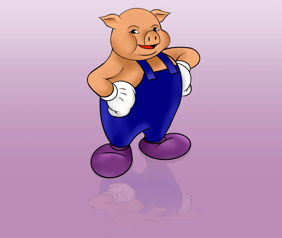 In this tutorial we learned how to setup Pig, and run Pig Latin queries. We saw the query for the same problem which we solved MapReduce code from the step-by-setp MapReduce guide and the Hive for beginners with MapReduce and compared how the programming effort is reduced with the use of HiveQL. Stay tuned for more exciting tutorials from the small world of BigData. 1. We referred the Pig-Latin Basics and Built-in Functions guides from Apache Pig page. 2. We referred the Getting Started guide from Apache Pig page. This presentation was given at the Pune Hadoop User Group (PHUG) to explain MapReduce paradigm, programming and running on Hadoop. Hive is a data warehouse system for Hadoop that facilitates ad-hoc queries and the analysis of large datasets stored in Hadoop. Hive provides a SQL-like language called HiveQL. Due its SQL-like interface, Hive is increasingly becoming the technology of choice for using Hadoop. The objective of this Hive tutorial is to get you up and running Hive queries on a real-world dataset. It is assumed you have some knowledge of Java programming and are familiar with concepts such as classes and objects, inheritance, and interfaces/abstract classes. This Hive tutorial assumes Linux. If using Windows, please install Cygwin. It is required for shell support in addition to the required software above. or set HIVE_HOME in $HOME/.profile so it will be set every time you login. The first row is the header row. The other rows are sample records from the file. Our objective is to find the frequency of Books Published each year. This is the same problem that was solved in the previous blog-post (Step-by-step MapReduce Programming using Java). It is clear from the above that Hive reduces the programming effort required as well as the complexity of learning and writing MapReduce code. In the small example above, we reduced the lines of code from roughly 25 to 3. In this tutorial we learned how to setup Hive, and run hive queries. We saw the query for the same problem statement which we solved with MapReduce and compared how the programming effort is reduced with the use of HiveQL. Stay tuned for more exciting tutorials from the small world of BigData.